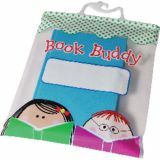 Say goodbye to push pins, magnets, tape or glue and say hello to the most advanced bulletin board. 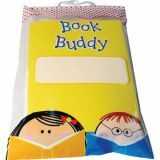 Simply place your materials on the surface and they just stick! Choose from modern aluminum frames or frameless options to display anything from photos, memories, reminders, illustrations and training materials to keep you organized. Finally a solution that lets you stand out from the rest and display what is uniquely important and special in your life! Justick by SMEAD-displaying today with tomorrow's technology! Wood Framed Dry-Erase Board, 36" x 48"
White Dry Erase Board is great for the home, office, and classroom. The board features a hand crafted wood frame. Measures 36" x 48". 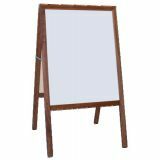 Wood Framed Dry-Erase Board, 24" x 36"
White Dry Erase Board is great for the home, office, and classroom. The board features a hand crafted wood frame. Measures 24" x 36". 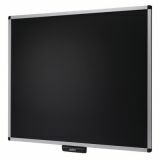 Aluminum Framed Magnetic Dry-Erase Board, 18" x 24"
This magnetic dry erase board features a durable low-glare steel surface that wipes clean when using dry erase markers. 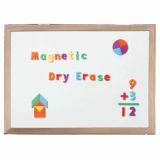 From printing to handwriting practice to math activities, these boards have many uses. Aluminum framed. Measures 18" x 24". 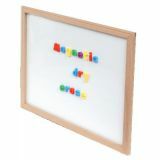 Wood Framed Magnetic Dry-Erase Board, 18" x 24"
Magnetic dry erase surface on one side. Wood frame. 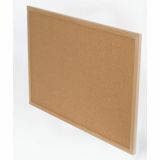 Wood Framed Cork Board, 24" x 36"
These cork boards are constructed of a fine grain natural cork skin laminated to a durable insulation board. Surface resists wear and tear of repeated tacking. Hardwood framed. Measures 24" x 36". 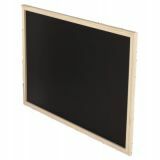 Wood Framed Chalk Board, 24" x 36"
These black chalkboards feature a premium slate surface that erases and cleans easily. Remember to always "chalk-in" the surface; this eliminates the "halo effect" and ensures long life. Aluminum framed. Measures 24" x 36". 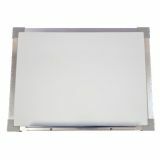 Signage Easels are ideal for announcements, sales & specials, menus, and much more! 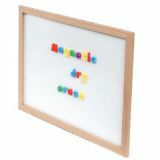 Stained White Dry Erase/ Black Chalkboard Marquee Easels fold flat for easy storage Available in natural or stained hardwood. Measures 42" H X 24" W.